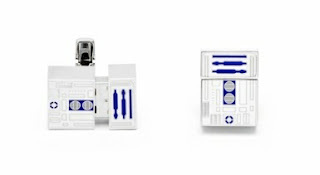 Get this: R2D2 USB cufflinks. It's like a mouthful of nerd. I have to ask: how many nerds do you know who wear french-cuffed shirts? To work, no less? Perhaps to a formal function, but then these would become a purely nerdriffic novelty item. 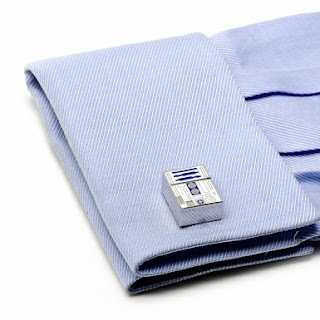 For people who want to pretend they are a spy and that they need USB cufflinks on their tuxedo. If you find one out in the field, let me know. They'll be easily the best dressed geeks, and they'll have the secrets of the universe stored in their cuffs.